Gordon Ma thanks a lot for sharing this. I'm moving your post here. Could you please share with us what model number you are trying to add for your Finite Elemente speaker? Gordon Ma thanks a lot for sharing, Hohrizontal 51 is available in our Database selecting speakers category, Europe as a Location, selecting Brand Finite Element and then entering model number Hohrizontal 51. Have you tried that? If so, could you please try to turn off and back on your Smart Remote, try to add it again and let us know if that helps? i made a hard reset of the remote before testing, but still encountered the same problem, I attached my screenshots for your reference. Gordon Ma thanks a lot! Have you tried entering the model number "Hohrizontal51" with no space? Anne-Sophie F. I tried everything I knew, but the problem is still the same, it can't be searched! I gave up this and used the custom screen layout test function, now it works fine, thank you for your help, please continue to improve. Gordon Ma thanks a lot for the update, I made sure to share this issue with our technical team anyway so they can check what happened! 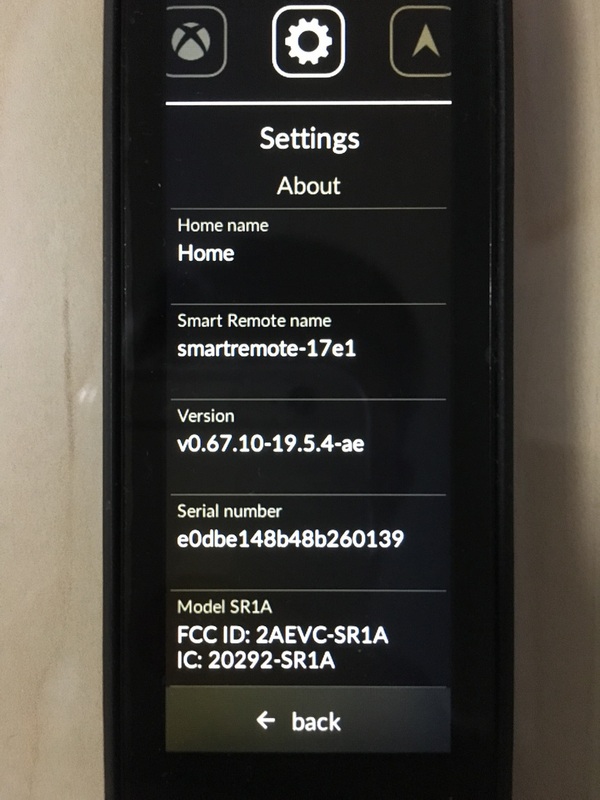 Could you please share the Serial Number of your Smart Remote? Gordon Ma thanks a lot for sharing, I've shared this with our technical team to check what goes wrong here. I'll get back to you as soon as possible.